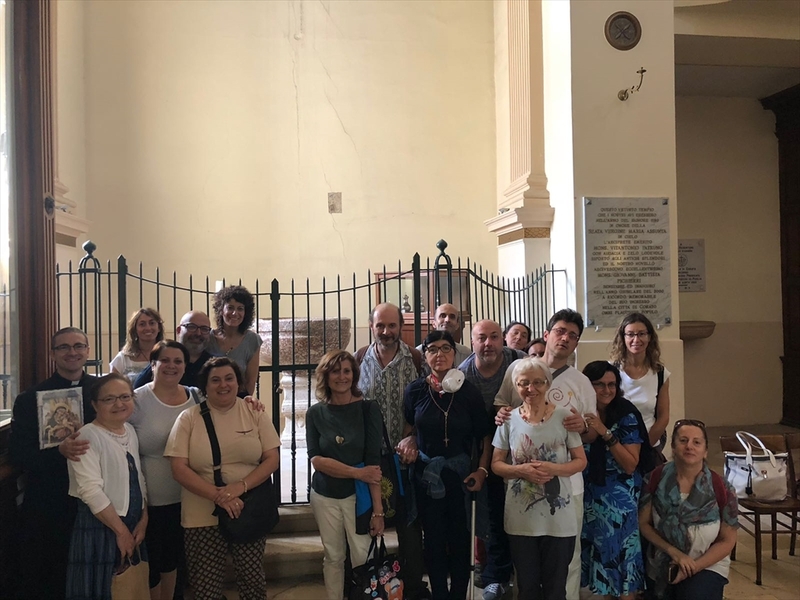 From September 5th to 9th I came to Corato with eighteen pilgrims from Emilia Romagna and Lombardy to take part in a retreat on the steps of Luisa Piccarreta. I was struck by the emotion and tears of some women in our group when they knelt on the tomb of the Little Daughter of the Divine Will for the first time. An atmosphere of fraternity and joy was immediately established among the pilgrims who knew each other only in small groups. I myself knew only two girls and the couple who organized the retreat. We prayed a lot in those days, with the Liturgy of the Hours, the Holy Rosary, the Hours of the Passion and the Rounds in the Divine Will. For the Holy Mass, we joined the Community of St. Mary the Greek. The parish priest, don Sergio welcomed us exquisitely. He nourished us with Jesus in the Eucharist and with brief but intense homilies that combined the Gospel with our life and that of Luisa. The greatest merit goes to Don Marco Cannavò. He guided us through the places of Luisa and through the morning and afternoon meditations on Luisa's writings, in particular from Volume XI. He gave us a kind of identikit of the soul that wishes to live in the Divine Will through a sure itinerary in the heart of the Church, drawing from the healthy deposit of the Word of God, of the Catholic Magisterium and of the Tradition of the Saints. There was no lack of relaxing moments like the late evening visits to Molfetta, Bisceglie and Corato with the inevitable ice cream ... However, the rhythm of those holy days was tight and full of many gifts of the good God, many friends that we knew or met again in this land of the Sun. We also thank the Association of Luisa, the Daughters of Divine Zeal, Sister Assunta along with all the mystical mothers, the people of the Oasis of Nazareth who hosted us. Thanks to Pasqua and Nicola who organized the retreat with patience and sympathy. I will never forget the impromptu “street evangelisations” in front of a bakery and a pharmacy, with the Christian music that came out of the boxes of our minibus and the clear joy of those who danced and sang a new life in the risen Jesus and took their first steps in the Kingdom of the Divine Will.